When is a vampire movie not a vampire movie? When it’s a Jim Jarmusch vampire movie! You want to take the blood-drinking as part of an unearthly frenzy, and you’re dead on arrival. 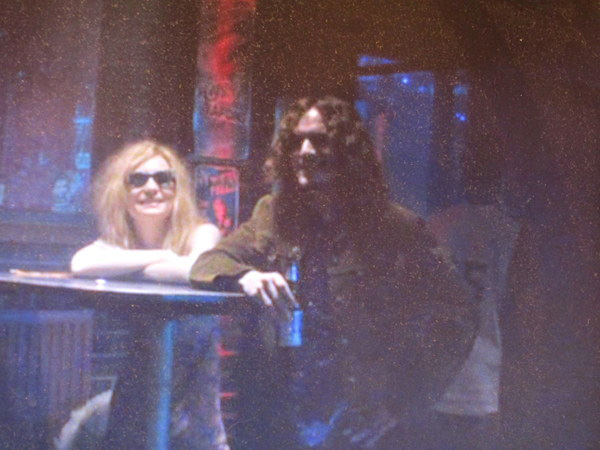 Only Lovers Left Alive (2013) is, in its very title, a megalomaniac declaration—the kind of stimulant-driven delusion stemming from the likes of rock and roll gods, self-styled inextinguishable heroes for the ages. “Our powers and influence will never die,” they desperately opine. And in that distemper they are a species (a metaphorical species) of the nonsense of undead vampires, a motif winched up by Bela the New American smart guy, in Stranger than Paradise; Roberto the fixer, in Down by Law; Elvis-mad Mitsuko, in Mystery Train; a platoon of soothsayers in Night on Earth; aboriginal mystic Nobody, in Dead Man; samurai-junkie Ghost Dog, in the film taking his name; Don, the spirit of the (flabby) times, in Broken Flowers; and the think-tank-assassins, in The Limits of Control. 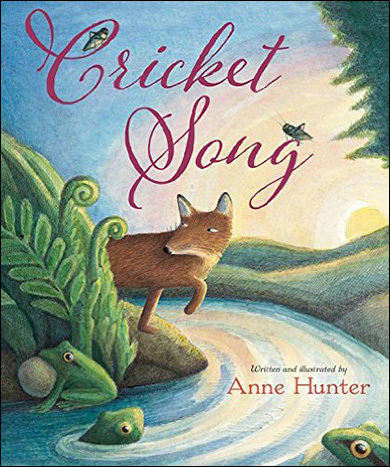 From the rapturous cover of a fox on the prowl for rabbits, frogs croaking around a stream and crickets bringing some special measure of authenticity to the book’s title, by way of a fancy current red in cursive to the oval back cover of a boy fast asleep in his bedroom, Cricket Song may well be the year’s most intoxicating picture book. Anne Hunter’s ink and watercolor art is not only astonishingly beautiful but sensory, evoking as it does a place governed by reverberating sounds and a scents as keen as anywhere in the natural world. Geographical, aquatic, and metaphysical kinship are established early on, and Hunter subsequently chronicles this initial flirtation and eventual immersion with nature, the most integral aspect of lives separated by a vast ocean.